When selecting workout clothing, comfort and safety are most important. Always make sure to plan each outfit for the specific workout activity. Apparel for a walk or run is different from yoga and Pilates gear which differs from clothing for a game of basketball or volleyball. A tank top is a nice choice for most exercise activities. The Canvas 3400C Men's Mulholland Rib Tank is a good choice for those who prefer to exercise in tanks as opposed to t-shirts. As tanks allow for more movement, they are smart choices for weight-lifting and numerous exercises. This 100% combed ringspun cotton tank has a rib knit for a comfortable snug fit with some stretch. 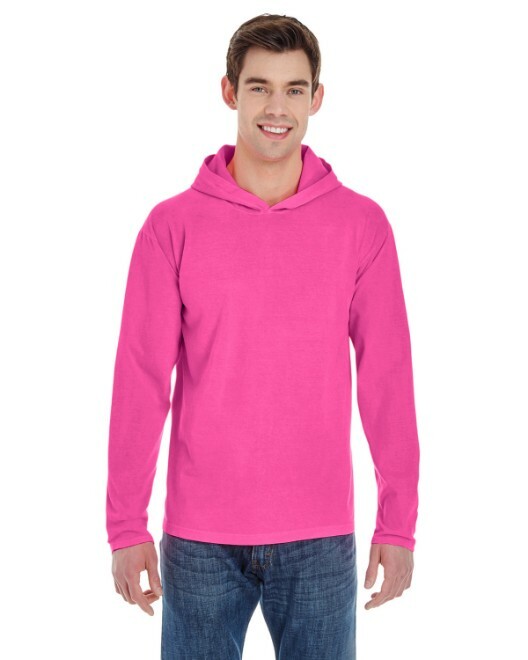 It is available in three basic colors and five sizes ranging from S-2XL. A racerback style allows for a free range of movement for the arms and shoulders, as even the shoulder blades are exposed. The Bella B4070 Women's 2x1 Rib Racerback Longer-Length Tank has these smart qualities along with moisture-wicking properties to keep perspiration from hindering a workout. 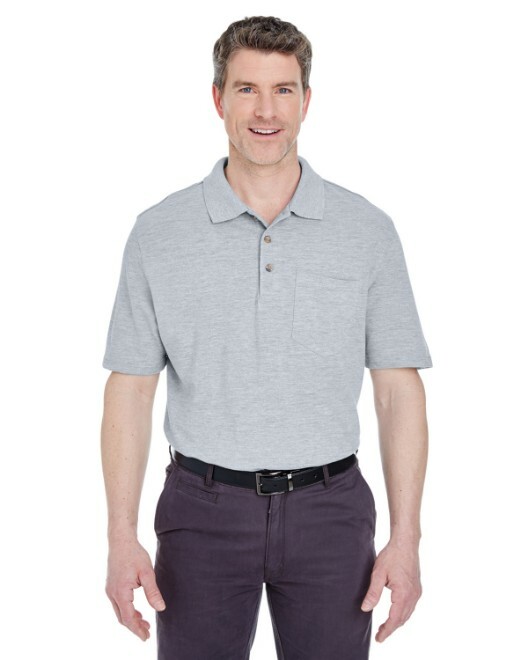 The rib knit allows for the shirt to be more form-fitting and ensure proper coverage throughout the exercise. A top like this one works well for any indoor or warm-weather activity. This 100% combed ringspun cotton tank is available in five sizes ranging from S-2XL and thirteen bold colors to match any other workout gear. Basics such as these tanks are perfect to have on hand in bulk of multiple colors. Performance t-shirts are always great for any sports activity. Most styles have moisture-wicking and quick-drying properties to protect the shirt from being weighed down by perspiration as is the tendency of standard cotton t-shirts. 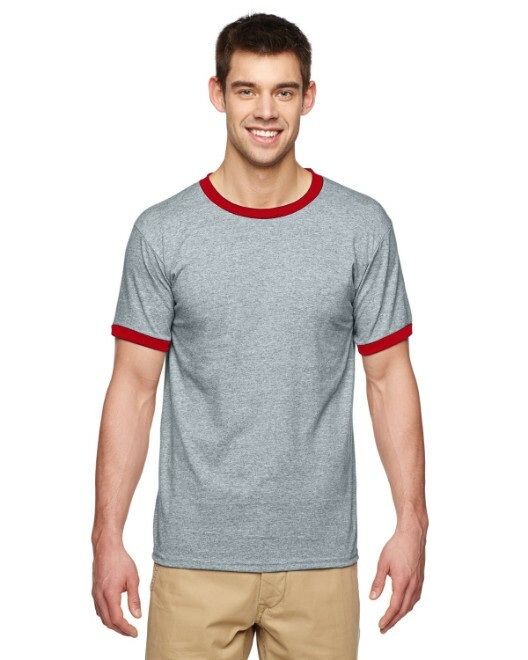 The Champion CW22 Men's Double Dry Performance T-Shirt is a 100% polyester single knit jersey t-shirt with a double dry moisture wicking finish. 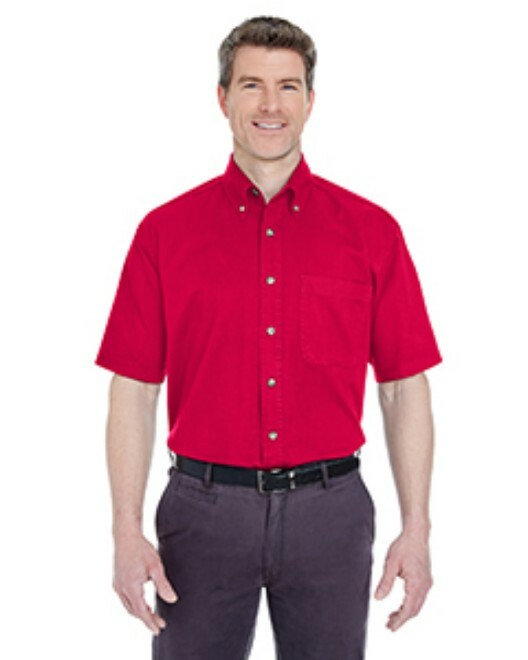 With set-in full short sleeves, the shirt offers extra coverage for those who prefer a full t-shirt over a tank. This extra strong and resilient t-shirt is available in seven colors and six sizes ranging from S-3XL. The Champion CW23 Women's Double Dry Performance T-Shirt has the same smart attributes styled with a woman's fit. The other main difference is the raglan sleeve style. Raglan sleeves are stitched at a diagonal across the bottom of the shoulder, as opposed to the standard vertical set-in sleeve. The raglan diagonal allows for a larger range of motion in the arms and shoulders. It is perfect for all sports, especially baseball. 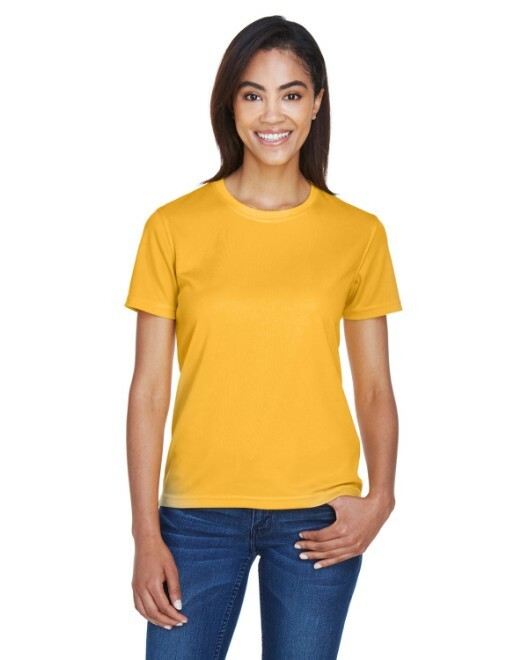 This women's performance t-shirt is also available in seven colors and five sizes ranging from S-2XL. This t-shirt is perfect for the whole family, as there is a youth style as well. The Champion CW24 Youth Double Dry Performance T-Shirt is like the men's style, with set-in sleeves in addition to all of the moisture-wicking and strong attributes. It is also available in seven colors and four sizes ranging from S-XL. For warm-weather exercising and high-cardio activities, it is most comfortable to wear shorts. Shorts can range from longer length basketball and lacrosse shorts to shorter shorts for general activities. When selecting shorts for a workout, really keep in mind what the intended exercises will be. The Champion 8655 3.7 oz. Lacrosse Mesh Short is a perfect pair for sports like lacrosse, basketball, etc. With the nine inch inseam, and lightweight 100% polyester composition, these shorts provide ultimate comfort and coverage for very physical sports. These shorts have stripes down the side in complimentary colors for some added style. They are available in seven color combinations and five sizes ranging from S-2XL. The Champion 8187 Cotton Jersey Shorts are 100% cotton for breathability and allow for a good range of motion. The shorts have a six inch inseam and an elastic waistband with a drawcord for extra comfort in providing the best fit. These active shorts are available in eight colors and six sizes ranging from S-3XL. The Bella 825 Ladies' 7 oz. Cotton/Spandex Fitness Shorts are perfect for a lot of sports like cheerleading and gymnastics, they are also very comfortable for powerwalking and running. They are lightweight 95% cotton and 5% spandex with sporty side vents for added breathability and style. They are available in six great colors and five sizes ranging from S-2XL. The Bella 925 Girl's 7 oz. Cotton/Spandex Fitness Shorts are a very similar style of shorts in a girl's sizes. Also a 95/5 cotton/spandex blend with sporty side vents and an elastic waistband, these shorts are designed for cheerleading, gymnastics, and other sports. They are available in black and in three sizes ranging from S-L.
Long sweatpants are always a good choice for colder weather activities and certain indoor exercises as well. The Jerzees 973 8 oz. NuBlend Sweatpants are a great unisex option for extra warmth during exercising. These are 50% cotton and 50% polyester with an elastic cuff at the ankle. The blend allows these pants to be breathable and durable, perfect for keeping warm. They are available in ten basic colors and six sizes ranging from S-3XL. A comparable style for children is the Jerzees 973B Youth 8 oz. NuBlend Sweatpants . 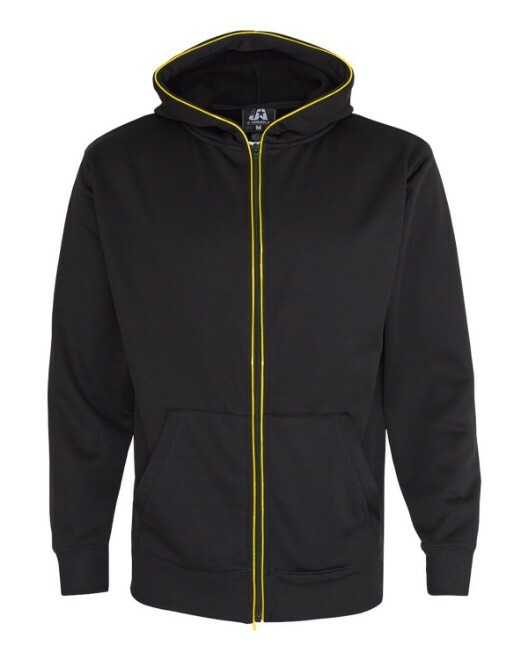 With the same fabric composition, it has the same benefits of breathability and durability. As a safety precaution, there is no drawcord in this youth style, just an elastic waistband. This pair of sweatpants is available in ten colors and four sizes ranging from S-XL. Fitted pants are a popular choice for a lot of exercises. The Bella 810 Women's Cotton/Spandex Yoga Pants are perfect for indoor activities and can be a good choice for running in colder weather. This 87% cotton 13% spandex blend has a jersey knit for extra comfort and ease of movement, making these a perfect choice for yoga and Pilates, and the fabric has been preshrunk to avoid any shrinking in the laundry. They are available in five colors and five sizes ranging from S-2XL. The Bella B815 Ladies' 8 oz. Cotton/Spandex Capri Pant are a similar pair of pants, with a shorter length. The same 87% cotton and 13% spandex blend makes this pair a smart choice for yoga and Pilates as well as running in chilly temperatures. These pants have a roll-down waistband for a custom fit and an overlocked bottom hem to help retain shape. These capri pants are available in three colors and five sizes ranging from S-2XL. The Bella 910 Girl's 8 oz. Cotton/Spandex Dance Pant has been modeled after the adult styles of fitness pants. This 87% cotton 13% spandex blend has a contoured fit with a slight flare in the legs. There is no drawcord, just elastic for child safety. These girl's dance pants are available in black in three sizes ranging from S-L.
T-shirts are also always great for the gym and outdoor exercising. The options above offer more style and special workout-geared features. Comfort and safety are of the most importance in selecting a workout outfit. It is best to consider the type of workout for the day in deciding which pieces to wear. With these workout basics, it is smart to stock up on the best ones so less time is spent picking out an outfit and more time can be spent working out. Happy Exercising!